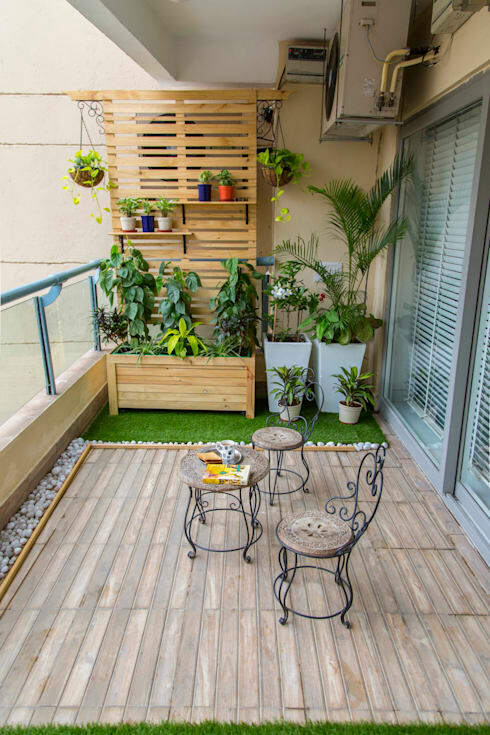 You can actually transform your entire balcony (and your live along with it) by taking some relatively simple steps… and no, you don't need to bust out the woodworking skills. 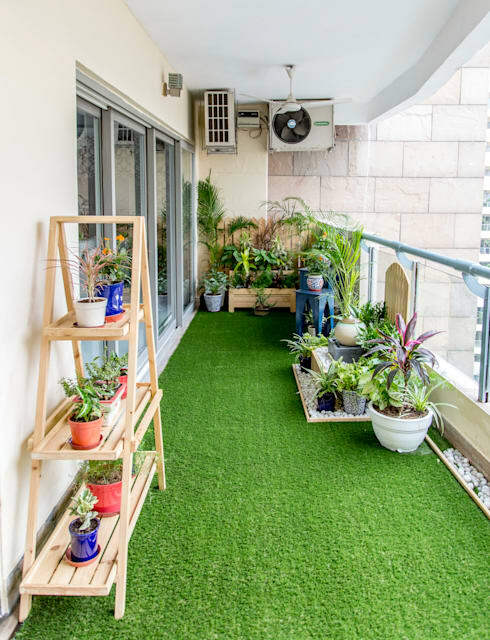 Apartments have a major disadvantage of very little outdoor space; there are no gardens and fresh air is limited, but there's no reason you can't have a balcony of your own in a small space—it may just take a little bit of time and effort to complete. 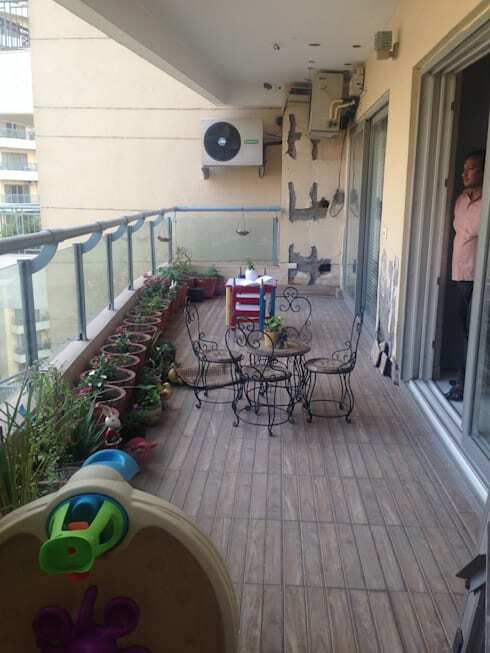 In this before and after feature, we visit a balcony that went from dull and dreary to lively and comfortable. It’s now a petite garden filled with charm and elegance, and we cannot wait to begin exploring! 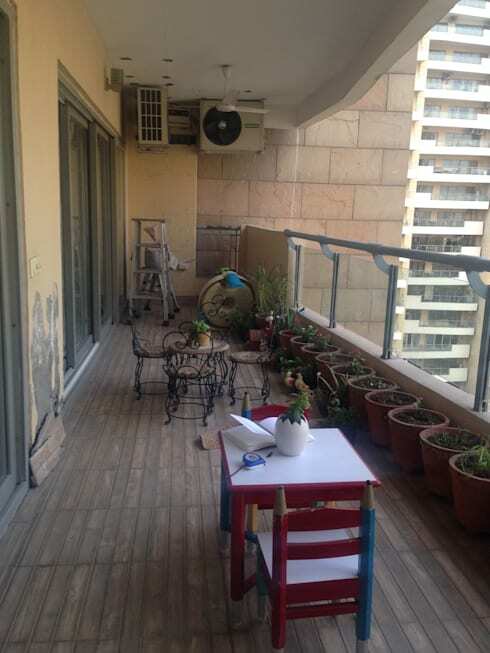 The old balcony was in need of a major sprucing, the space was boring and neglected, and although there were some furniture items for seating, the balcony looked like a forgotten and forlorn part of the home. The balcony, although quite spacious, seems to have been ignored. Resulting in a multitude of dead plants, crumbling walls and just an ugly outlook. It has the potential to be a great place to enjoy the outdoors, fresh air and city sights, but not in this condition. With that in mind, let's take a look at the awesome revamp job. The difference between the old and derelict balcony and the revamp is major. The décor is fresh and attractive. The professionals did a fantastic job at this revamp, with the artificial turf adding a bright and elegant ambiance to the outdoor area, who wouldn’t want to just lounge around here every day? 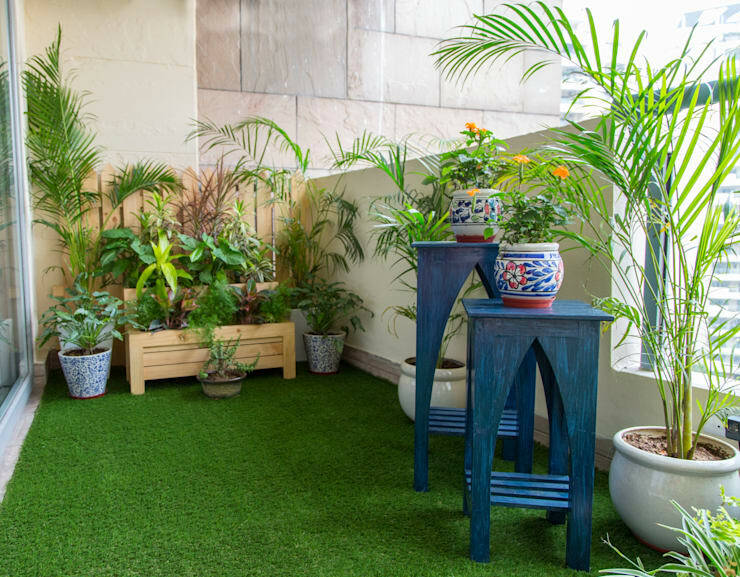 The balcony now has a simple garden adding style and elegance to the once neglected space, making it a relaxing space. The atmosphere is pleasant, the flowers are perfect, and the textures of the materials incorporated in the space are amazing and chic. The balcony is now a fantastic spot to enjoy the afternoon sun, or early morning fresh air during breakfast. Some of the old features of this balcony were, in fact, retained. A part of the old flooring adds a classic and rustic effect to the newly revamped deck, and with the chairs, the space is now a usable and elegant area for entertaining and socialising—but wait until you see the view from the inside! The view from the living room, shows a gorgeous outdoor area that is friendly and cosy. It’s now an inviting sight from the interior, and a great spot to start the day with a good cup of coffee. Just imagine the sunshine on a beautiful summer day, and how this extension of the interior will come in handy. The garden area is a fantastic way to also keep your favourite herbs and spices at hand, you won’t need to make costly visits to the grocery store that often. If you liked this balcony upgrade, but you still need some inspiration, have a look at: The simple and stunning transformation of an ordinary balcony. Would you consider this balcony revamp for your apartment?